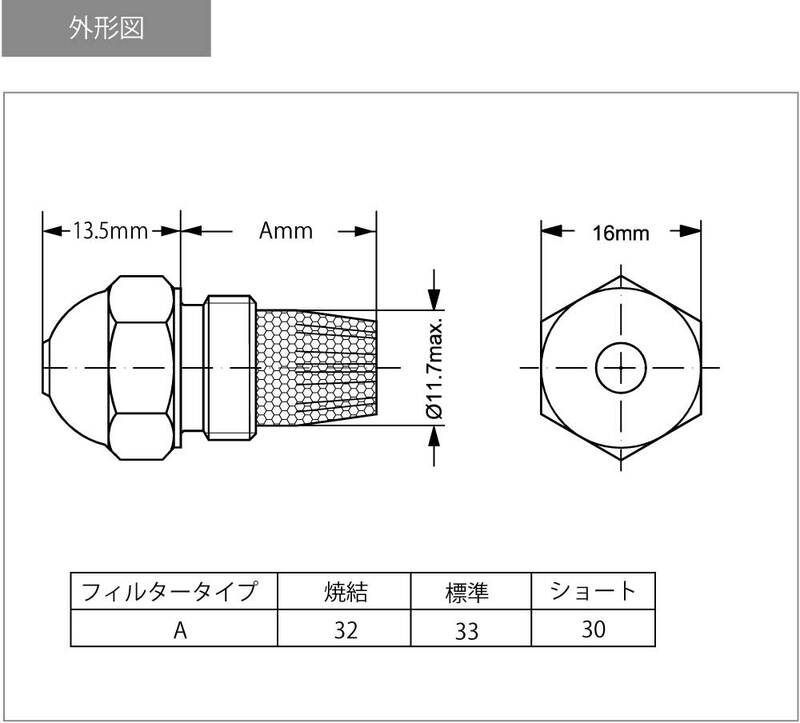 Hago nozzle is constructed by high quality stainless steel. 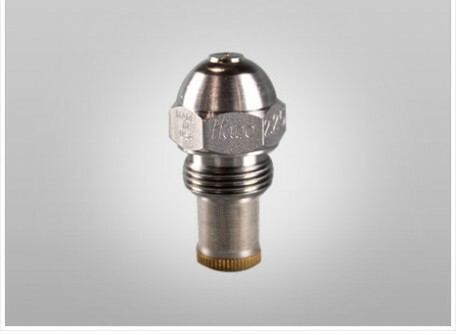 Every nozzle is tested with fuel oil to ensure correct spray, flow rate, balance, and atomization. All nozzles are individually packed. 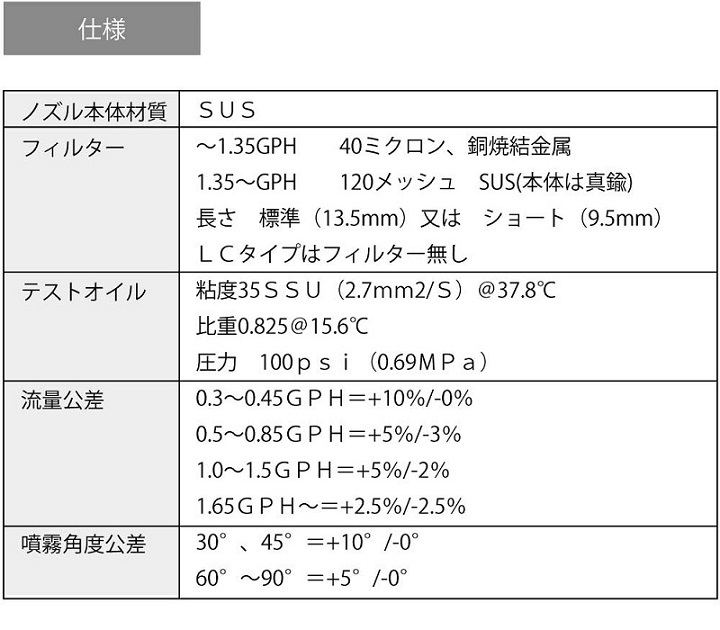 Atomized particle size is 20 to 50 μ. 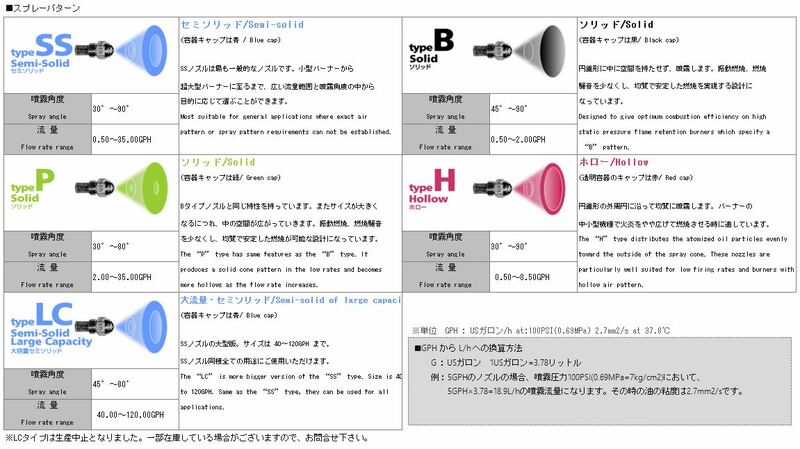 Oil burner・Humidification・Water atomization・Cold water atomization.